Established 38 years, AIR T, INC. (NASDAQ: AIRT) is an industrious American holding company with a networked portfolio of powerful businesses, each who operate independently yet interrelatedly. We seek to invest in dynamic, talented individuals and teams; insightful doers in their business domains. We apply corporate resources to activate growth and overcome challenges — ultimately building great enterprises that flourish by “win-winning” over the long-term. Currently we are organized by 4 core business segments consisting of 12 companies that span a variety of industries, employing over 850 team members nationwide. We focus resources to help our partners activate growth and overcome challenges. Win-Win: We aim to identify and create solutions that produce the optimal outcome for all stakeholders . Clear Perspective: We aim to provide frank assessments that allow us and our partners to recognize and discern opportunities. Decisiveness: We act promptly around those things that create the best opportunities for our partners. Better: We are committed to being exceptional through passionate learning and continuous improvement. Flow: We support our people and partners by encouraging them to find their Flow Zone. People are happiest and most productive in the Flow Zone. Reciprocal Kindness: We are goodwill-generating, friendly, supportive, and fun people. Through our acquisitions and investments, along with our ongoing support of the dynamic leadership at our portfolio of powerful companies, we seek to focus our resources, activate growth and deliver long-term value creation for everyone associated with AIR T, INC.
Our ownership interests are designed to expand, strengthen and diversify the company’s cash earnings power. Purchasing commercial aircraft for subsidiary Contrail to trade or lease. Purchasing engine parts inventory for subsidiaries Worthington and AirCo. Funding de-icer builds for subsidiary Global Ground Support. Note: These segments have strong upside potential when well-capitalized. Finding new businesses that complement our current portfolio companies. Diversifying into other high-performing businesses beyond the aviation industry, such as insurance. Being industry agnostic in our search for opportunity. Investing in another Investor-Operator platform company like Air T, Inc. Creating and investing in unique investment funds. Further investing in our current portfolio securities. Investing in other publicly traded securities. AIR T, INC’s balance sheet is bolstered by $11.4 million fair value of excess earning assets, as of September 30, 2018. These represent assets not required to run the operating businesses. AIR T, INC owns approximately 3.5 million shares of common stock of Insignia Systems, Inc. (NASDAQ: ISIG) with a market value of $6.1 million, as of September 30, 2018, which is included in the excess earning assets. Working capital as of September 30, 2018 totaled $20.8 million. Our team seeks to maintain an intense focus on producing meaningful work. We judge ourselves, in part, through the lens of responsible capital stewardship. We are guided by a company mandate to treat shareholder capital with great care while building edge in the marketplace, so that all stakeholder interests are met. We believe deliberately practicing getting better every day is a powerful strategy. Established 38 years ago, in 1980, we made our first investment in Mountain Air Cargo (MAC), a commercial air transport company based in North Carolina. MAC pilots fly cargo across the eastern half of the U.S. as well as some routes to the Caribbean Islands. That same decade, we entered into a strategic relationship with FedEx and formed a new company in Michigan called CSA Air (CSA), where we helped create an express air cargo feeder system flying routes in the Upper Midwest. Together, MAC and CSA have reliably been two of the seven FedEx feeders since the beginning of the FedEx feeder system. 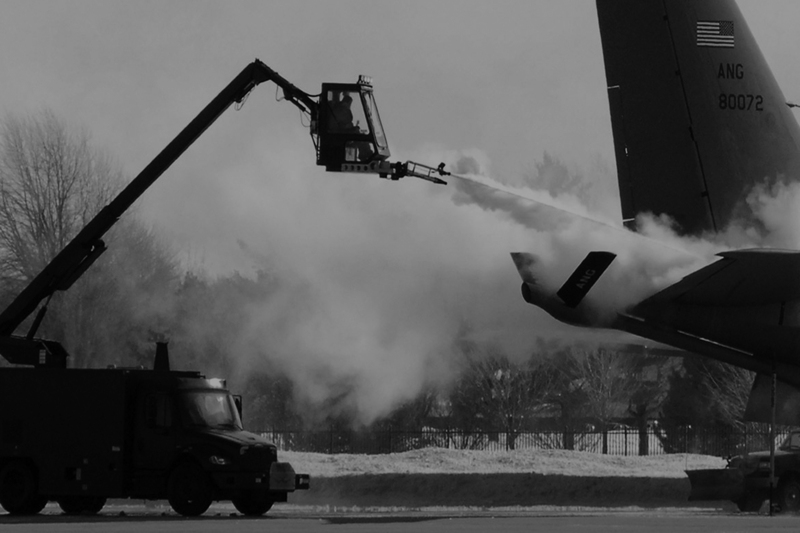 In 1997, Air T acquired Global Ground Support Services (GGS), a leading manufacturer of aircraft de-icing equipment. Global Ground Support is also a producer of scissor-lift catering trucks, tow-tractors and glycol recovery vehicles. With manufacturing operations in the heartland of Kansas, we ship products worldwide. GGS remains a long-time partner to the aviation industry, helping commercial, private, and military aircraft safely get to all the places they need to go. In 2007, we seized upon an opportunity to meet the fast-growing demand for aviation fleet and facilities maintenance services. Air T allocated some of its capital to establish Minnesota-based Global Aviation Services (GAS), which began servicing Delta Airlines. Today, Global Aviation is one of the fastest growing aviation maintenance providers in the U.S., servicing at over 70 airports. Its growing network from BOS to LAX, from DFW to JFK gives it a unique perspective and capabilities. In July 2016, Air T found new opportunity at a company based just outside Madison, WI. We acquired Contrail Aviation Support, a leading worldwide supplier of surplus and aftermarket commercial jet engine parts. At the get-go, we supported Contrail with capital resources to bolster acquisitions, sales and trading of their product inventory as well as work with management to expand their asset portfolio to include whole engine and aircraft leasing. Over the next two years, Air T acquired three additional aircraft aftermarket companies — Jet Yard (Tucson), AirCo Group (Wichita) and Worthington Aviation (St. Paul). With each acquisition, we were able to add value to operations while creating exit strategies for their owners, and career pathways for existing managers. At the same time, we created powerful operating synergies and efficiencies within our four aviation asset management business units. While AIR T, INC’s heritage is in aviation, our acquisitions are more a reflection of limited, convex investments we are making to increase our cash flow and EVA per share, as opposed to an exclusive focus on the aviation space. We are an opportunity-driven investor; we are not limited to aviation. We seek daily improvements in our investment strategy, operating model and transaction disciplines. We believe this will allow us to leverage our success and drive improved overall performance and after-tax cash flow. In December 2017, Air T purchased the assets of Blue Clay Capital Management, an investment manager focused on unearthing fundamentally attractive small and mid-cap opportunities. Rebranded as BCCM Advisors, we can further expand upon our idea generation capabilities to identify, analyze, develop and execute innovative investment strategies that are aimed at building better financial futures for all our stakeholders. Our value proposition to shareholders of AIR T, INC. is best understood as an “Investor-Operator Partnership.” Through our acquisitions and investments, along with our ongoing support of the dynamic individuals and teams at our networked portfolio of powerful companies, we seek to deliver meaningful value for all of our stakeholders. While we have demonstrated significant progress in this regard, we recognize that continued success of our twin-powered mission requires the hard work and discipline that we work to practice every day in our quest for better.